A group of maritime reporters, the Maritime Correspondents’ Organization of Nigeria (MARCON) has called on the Federal government not to rescind its policy on the increased tariff on imported rice. 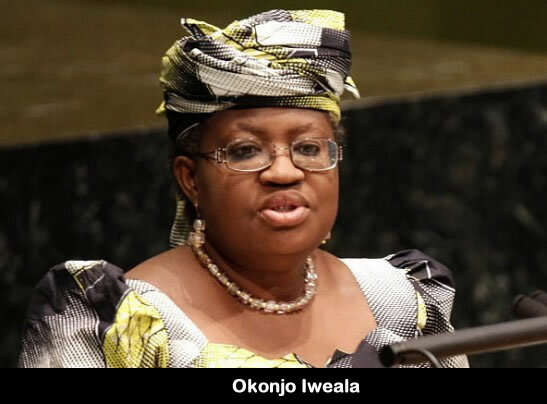 MARCON in an open letter it addressed to the Minister of Finance and Coordinating Minister for the Economy, Dr. Ngozi Okonjo-Iweala, a copy of which was obtained by Primetime Reporters observed that any attempt at truncating what it called a laudable economic policy of the government would amount to satisfying the business interests of a few. The group in a letter which was signed by the duo of Ismail Aniemu and Eguono Odjegba, President and Secretary respectively disclosed that an independent survey conducted in Lagos state showed that about 98 percent of Nigerian population was favourably disposed to locally grown rice to any of the imported brands hence the need to sustain the policy. The letter read in part,” we have watched with close interest, the agitation by some sections of the business community to get the government to reverse its policy on increased tariff on imported rice”. “As a body of reporters covering the Nigerian Maritime sector and as critical stakeholders neutrally playing the watch and reportorial role in an import dependent economy like ours, we feel concerned about the attempt to truncate a laudable goal of the government just to satisfy the business of a few”. “The agitation serves the interests of a few who profiteer at the expense of the populace that in many cases must have rice on their tables as a preferred meal. An independent survey carried out within Lagos shows that 98% of Nigerians prefer the locally grown rice to any of the imported brands”. “It therefore indicates that making locally grown rice available to the people is in line with the spirit and letters of democracy as government will be seen to be working for the majority”, the letter said. MARCON maintained that it saw nothing wrong with the 110 percent tariff placed on imported rice as it was one of the ways to encourage those who had invested in that sector of the economy adding that the result of those investments would manifest in increased wealth creation for Nigerians through more jobs opportunities and a prospect of a flourishing rice business for the local consumption and export. It noted that rescinding the policy by reducing the tariff to a lesser amount would not only return the nation to sorry economic state that it was struggling to outgrow but it would further shift the zeal and cause a colossal loss to government and investors who had invested in rice farms and were ready to hit the market with the product soon. The group also commended the Agricultural Transformation Agenda (ATA) and the Youths in Agriculture Programme (YEAP) of the federal government adding that they were among the laudable projects of the Federal Ministry of Agriculture and Rural Development that could be engendered to fruition with the policy on rice. On the allegation of rice smuggling, it suggested that the Customs authorities be further tasked to do more in curbing the economic vice. It further recommended that to further strengthen investors in rice production, notable rice farmers who had made substantial investments should be given preference in the auction of seized smuggled rice as according to the group, they were the most passionate about their investments. The group pointed out that this can be possible through an inter-Ministerial collaboration between the Federal Ministry of Finance and the Federal Ministry of Agriculture and Rural Development in order to prevent a new problem from rearing its head over who benefited from the auctioned seized rice. MARCON therefore called on the government to sustain the policy that outright ban on imported rice take effect from 2015 while aggressively pursuing mass procurement through Public Private Partnership of rice milling and processing machines expressing optimism that Nigeria can do it better.